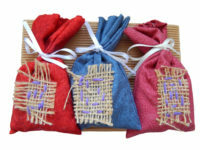 Lavender sachets are a perfect way of introducing a delicate perfume to your clothes drawer or wardrobe. 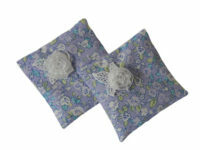 Lavender has been used for many years of a way of keeping moths at bay. Also well known as a ‘stress buster’, scent from Lavender sachets kept nearby can add a sense of calm when the occasion arises. The lavender used in our products is from a local Lavender Farm near York.